Kene joined the DDSTUDIO engineering team in 2014, adding deep knowledge of appliance design and sheet metal manufacturing. He worked as part of an industrial design team while designing, developing and testing components and subassemblies for medical devices and industrial hand-held devices during his year as a design engineer at Intersection Inc.
During his 12 years at Southwest Fabricators, Kene designed new kiosks, ATMs and safes, and specialized in enclosure design for the healthcare, telecommunications and gaming industries. He engineered and designed prototypes, and drafted precision sheet metal parts, assemblies and drawings to relevant ANSI and MIL standards. He designed stamping tools and dies, fixtures for robotic spot welding, and welding robots while using his strong manufacturing experience to review and improve customer designs for manufacturability. Kene also provided flat patterns from 3D CAD files for NC programming and generated NC code for turret punches and lasers. He is a Certified Solidworks Expert with additional certifications in sheet metal, mold tools and weldments. 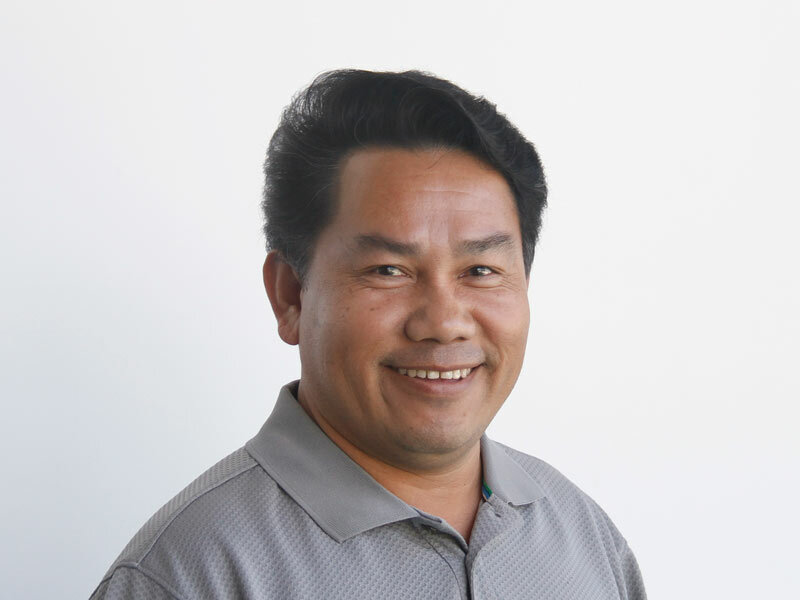 Kene graduated as a Mechanical Engineer from San Diego City College in 1990, and speaks Thai and Lao. Kene always has a home improvement project in progress.